The Plural graphic design studio resides down the street from the former Cabrini-Green public-housing development. On the day I visited the studio, a wrecking ball was flattening the last tower and sorting the rubble into piles of reusable materials, and on a table inside the studio, the image of a crumbling Cabrini-Green tower was silhouetted by a pop of orange spray paint, on the cover of Lumpen magazine’s issue 115. Plural had been tasked with redesigning the twenty-year-old Chicago-based publication with a new visual identity that would ultimately reinvigorate its readership. Lumpen is a free magazine distributed on the streets, with writing about local and global political communities, and although Plural admitted to not agreeing with everything written in the magazine (it contains some extremist viewpoints), they admired its aggressive pursuit of free expression, and so they united Lumpen’s brazen content with a bold and rebellious visual identity. 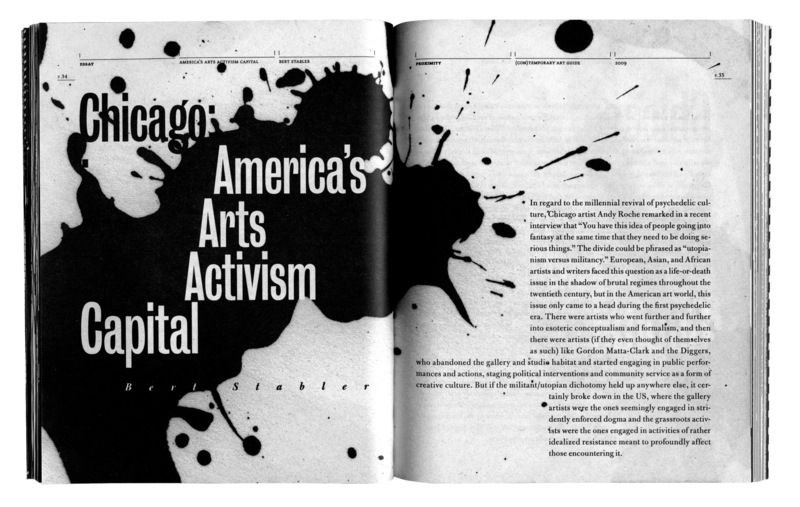 With the Cabrini-Green cover image, Plural saw a complicated public icon and reality right in their own backyard. Design is the restructuring of experience, and if it is successful design, a public will be drawn to it, and through it, and transformed by it. 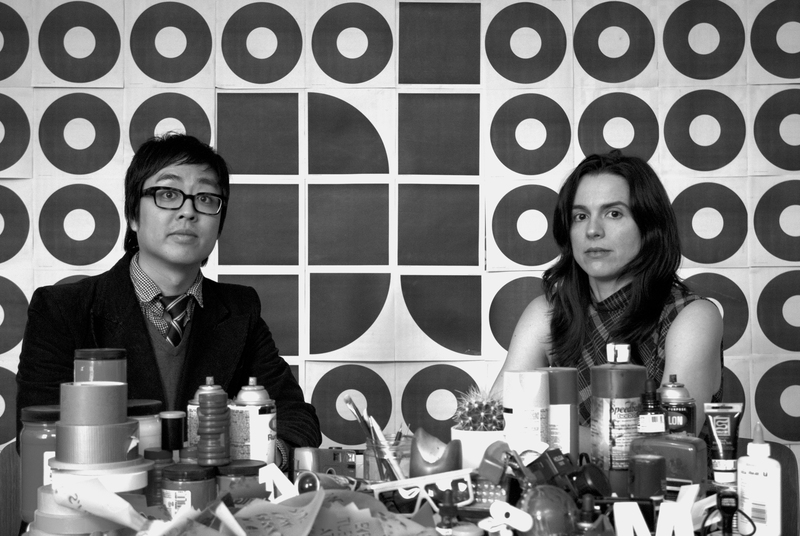 Plural was co-founded by Jeremiah Chiu and Renata Graw, who met in the grad program at UIC, and opened their studio in 2008. Graw is from Brazil and Chiu plays with several bands, including Icy Demons. Both of them have worked in the visual arts, which may be why Chicago’s cultural institutions are becoming a major share of Plural’s client base. They’ve taken on new commissions by the DePaul Art Museum and the Chicago Architecture Foundation, in addition to current and past projects for the Lyric Opera and Ravinia. Plural delights in the experience of printed materials. They work with a printer who has a budget for experimental and research projects, and they are rethinking how a throwaway, such as a product brochure, can instead be a coveted keepsake. 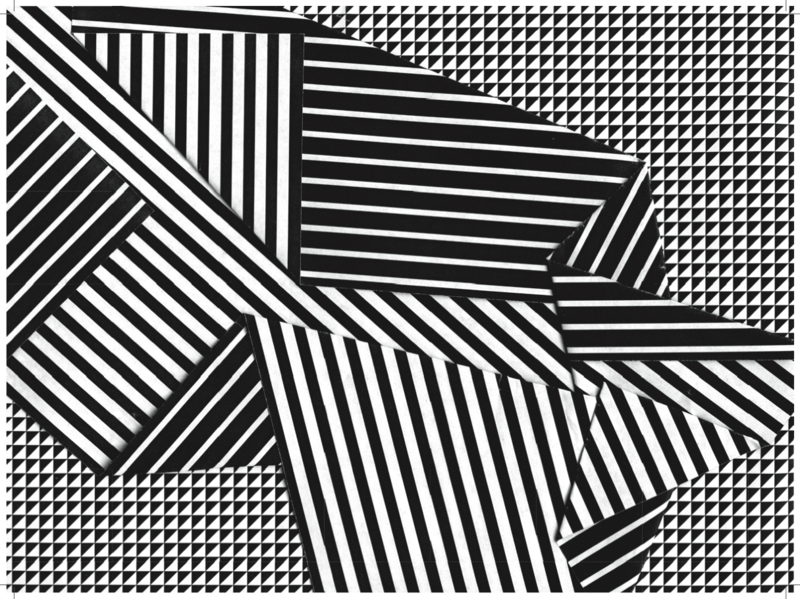 For clients such as Volume Gallery (which sells furniture) and The Whistler (the Logan Square bar with a storefront window art gallery), Plural created brochures that unfold into posters that have a strong affinity for geometric abstraction and visual play. Indeed, if our world is multi-dimensional and dynamic, it should be represented that way.